As I base my Student themed posts on a Saturday and I also haven't posted a fashion post in a while too; I thought I'd join the two together and bring a summer styling post to you. For the first time in forever, Kimberley Jessica is sharing a post purely created for males; hooray! But girls, that doesn't mean you cannot read this or take some tips. If you have a special male in your life, then these would be a perfect gift to them. 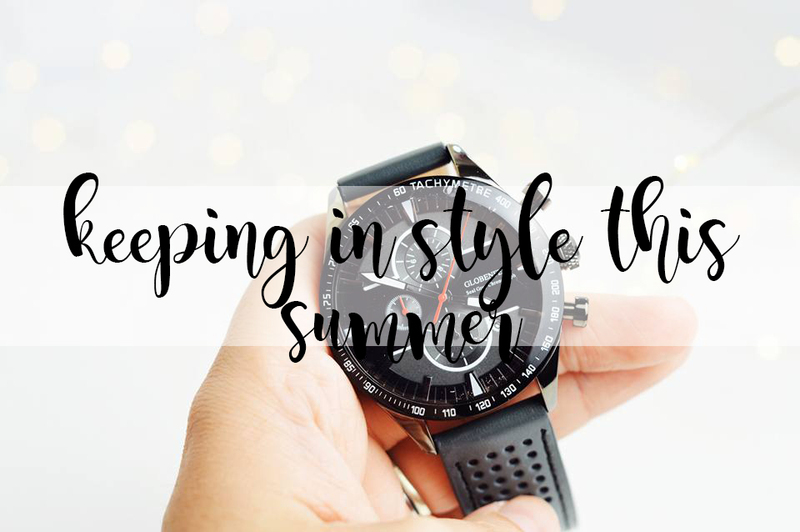 Firstly to style your outfits this summer is the most gorgeous watch if you're on a budget or if you know someone who is. The Globenfeld Seal Grey Chronograph Sports Watch is a must have for any male! You can now pick this watch up with £100; being £49.99 instead of £149.99; crazy! Something my boyfriend absolutely loves about this watch is how it's scratch resistant, meaning he can wear it to work and not have to worry about things scratching it as he picks up heavy boxes etc. 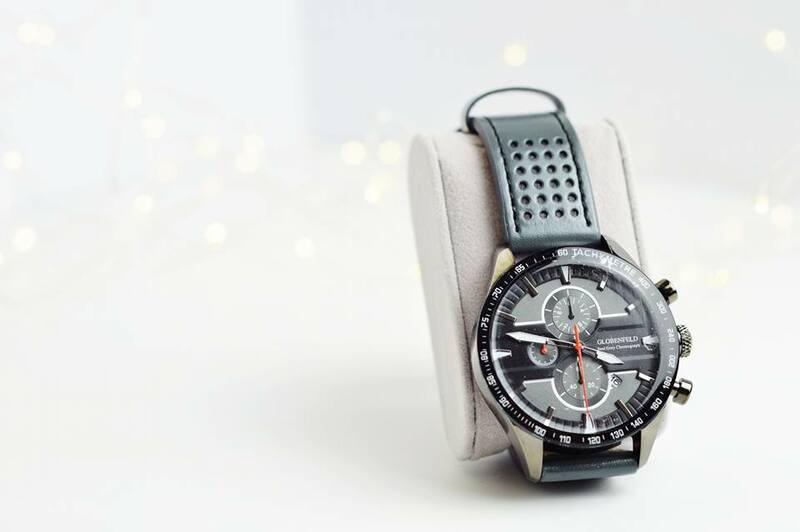 As it's a sports watch, it's also perfect for those who go to the gym on a daily basis; it stands up to the tests which everyday life brings you. I personally think this watch gives an elegant touch to any outfit. Whether you're going to a freshers party, or you're going to a formal meeting; you can turn up looking gorgeous with this stylish piece on your wrist. What's even better about this watch is how it isn't just a watch; it has a small built in calendar so you always know what the date is and a stop watch; once again perfect for if you're testing yourself at the gym. We then have the Storm Tech Atrax Sunglasses; an absolute winner for the summer. Looking on the website I weren't a huge fan of these sunglasses but my boyfriend personally picked them out. Once he was wearing them, I completely changed my mind; they are absolutely stunning and perfect for the sunny weather here in the UK which is hiding behind a lot of clouds! 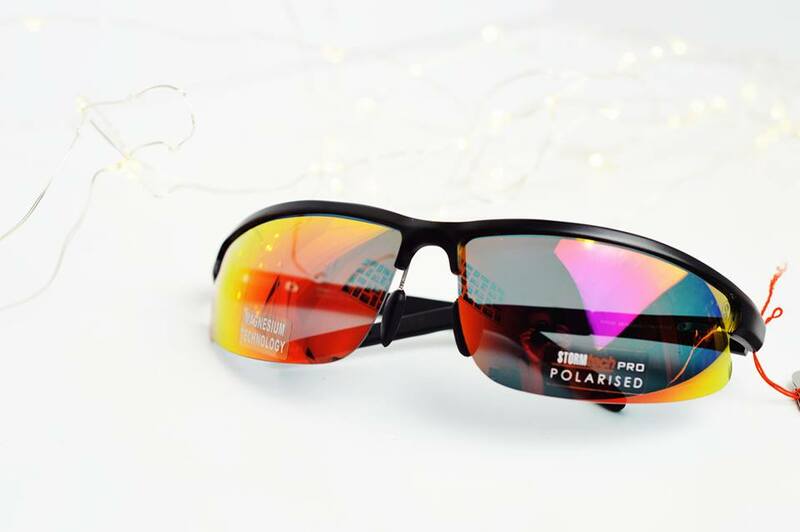 These sunglasses retail at £65 however you can pick them up on watchshop.com for just £48; another great bargain for high quality sunglasses. When my boyfriend was wearing them he mentioned how they're the best pair of sunglasses he had ever worn. He mentioned when he walked into a room he was still able to see everything clearly. Whereas with his old sunglasses, he would walk into a room and everything would still be pitch black and he couldn't see a thing; he was really impressed with this pair! I think this is a staple accessory which every man needs in their bedroom; ready to pick up and head on out with, even if they're just sat on their shirt waiting for the sun to come out. They are stylish and I have to admit, very cool! If you're bored of having a standard black pair of sunglasses, or you're even bored of seeing your friend or partner with the same pair of sunglasses every single year, then treat them/yourself to a new pair which you'll never want to take off! Of course you want to see what they look like not on my desk; so here's a few shots of the best boyfriend trying them out for you! A huge thank you to Luke for being the best model any blogger could ask for!